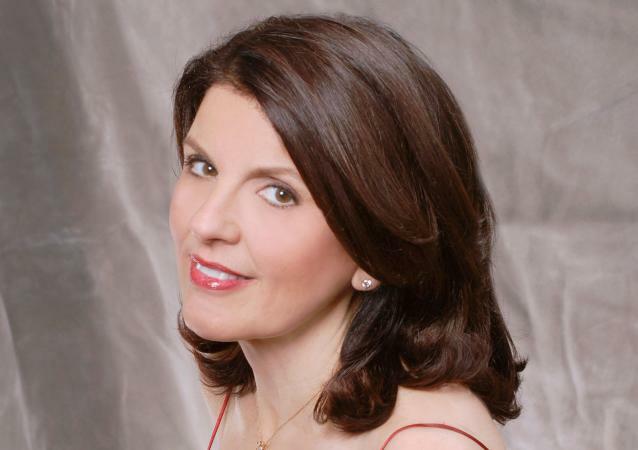 LoveToKnow Horoscopes is pleased to present this interview with Susan Miller, one of the world's premiere astrologers. Through her website Astrology Zone, Susan reaches over six million people each month, shedding clarity on all things astrological. Follow along as Susan first talks about her early life, her devout faith, what inspires her work, and then continues on to discusses some of the more common, and not so common, questions about astrology. Love to Know (LTK): How did you get your start in astrology? 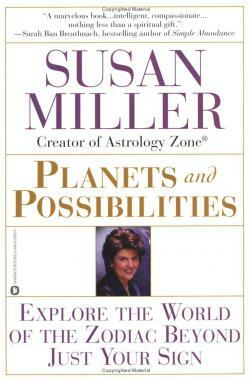 Susan Miller (SM): My mother studied astrology before I was born, for a total of seven years, and continues to study to this day. She never told her friends that she knew astrology, as she is a private person and kept that to herself. She never read charts for others, but only for our family. Years later, she married my father, and I was born with a congenital ailment in my left leg that caused painful and very debilitating attacks that would have me bedridden for six weeks at a time once or twice a year. As you can imagine, I missed out on a lot of school and other activities. SM: My mother, using astrology, knew this illness would reach an apex when I was 14 years old and after that, I would be free of my disorder. At 13 years 11 months, I had a massive attack that brought me to the hospital, so again my mother was right with her timing. I had to have exploratory surgery to find out what was wrong. It turned out I was bleeding internally and parts of my circulatory system needed to be completely revamped and stripped. During the surgery, I was bleeding so much my doctor couldn't see clearly and accidentally severed the main nerve that fed my lower left leg. I was to lose all feeling and control in my left foot, and I would have a drop foot at 14 years old. I was to remain in the hospital for 11 months that year while my doctor continued to work on correcting my circulatory system. Upon my release, I was told I'd have to be back at the hospital as an outpatient for six hours a day five days a week for the next three years. During that time, they set to work on helping me regain my ability to walk without a brace and crutches. SM: I was 14 and facing years of medical work ahead, and I wanted to know if my treatment would ever lead to a complete recovery. I begged my mother to teach me astrology, but she resisted because she was concerned I would study for a short time and begin reading charts for friends. She wanted me to study with her for 12 years continually before I did any charts for friends, but feared I would not stick with her program. She finally relented and began to teach me. Remember in those days, all the mathematical calculations had to be done by hand as there were no computers to do it. I have always enjoyed doing math and doing it with my mother was even more fun. Finally, I had convinced my mother to help me learn! SM: I want to add here that I am a devout Catholic, and I continued to pray for my recovery. Astrology never takes the place of religion. In fact, there are two astrological houses, the ninth and twelfth, that reflect one's deepest beliefs. Astrology simply can show you the areas where you can succeed if you focus on it, but the hard work is always up to you! I was born with Jupiter, the giver of gifts and luck, in the house of health. It was one of many big indicators that my prospects for recovery were excellent! SM: My mother was the best teacher I ever could have had. She taught me not only astrology, but philosophy, metaphysics, and theology, which she felt were important disciplines to cover. She also put a great emphasis on the importance of communicating clearly. She felt it would be unfortunate if I said something astrologically incorrect to the person whose chart I was reading, but it would be even worse if I said something that was correct but said it in a way that could be misinterpreted. She therefore spent as much time on the elements of good communication as she did on the technical aspects of astrology. Today, I write for magazines all over the world. LTK: What continues to inspire you? SM: The study of astrology is a complex subject. The more you study astrology, the more precise you become at understanding life's rhythms so you never feel you have covered it all and know it all. There is always more to learn! Life is one big laboratory where you get to see how the aspects assert themselves through cycles. Many people mistakenly assume astrology has to do with predestination. It does not. I can see areas of expansion and areas of constriction, but the final decision of what to do will always be up to the individual. I can suggest when to act and when to hold back. I can even suggest the questions to ask in a situation and some of the best methods for that person to use. I feel astrology can increase your success rate ten-fold, but each person has free will and can chose to do what feels is best. In the end, I am inspired by the readers who tell me I have offered them creative ideas at critical points in their lives. My mother has always been so loving and generous to me, I want to give my readers the same level of hope and inspiration that she gave me in my darkest period when I was learning to walk all over again and that she continues to give to me to this day. In my column, I always refer to my mother as Little Mom-she is indeed tiny-but my nickname for her shows the deep affection I have for her and what she has shown me about life. I feel very fortunate that I had the health difficulties I had because they opened my heart wide to other's suffering. I hope I can be of some help to those people. It is the whole reason I keep AstrologyZone.com free of charge. LTK: For your many fans who have devoured Planets and Possibilities and your other works, is there any chance that they'll get another predictive book? SM: My website, AstrologyZone.com takes me two full weeks out of the month to write, and it is a total joy to do. To write books, I would have to stop writing my site, and I don't want to do that. I used to write books but at the time, I didn't have the other obligations I have now on my plate. I have chosen instead to go digital because people need their information in very convenient ways, and it took me seven years to fully understand the workings of the digital industry, I am now on iPhones and practically all cell phones. I am on iTunes with spoken word Astrology Zone® and on Comcast's "On Demand" TV where I do a weekly forecast and some specials too. There was much to learn, but venturing into the new digital frontier is exciting and keeps me very busy. LTK: A lot of people search for what they should do with their lives, for what will give them the most meaning or joy. Are there any markers or planets they can/should turn to in order to find this information? SM: Yes. The rising sign is a very good indicator of the occupation that one will enjoy, especially in the first half of one's life. The planets surrounding the ascendant are also important to note, along with the conversations those planets are having with other planets within a 5-degree orb at certain geometric angles. After one reaches 40 or so, but sometimes earlier, the mid-heaven (the highest point in the chart where the number "12" would be found on a clock's face), indicates the most reliable way a person can make their greatest contribution to the world. Now, I have slightly oversimplified this explanation for clarity, but the point I'd like to leave you with is that, yes, it is possible to see one's talents and which careers may prove most satisfying. You can learn more about the rising sign by reading my book MyPersonalHoroscope. LTK: There seems to be a lot of confusion out there about a Mercury retrograde period. Once and for all, what is it, and what should people do during this period? SM: Mercury is the planet of communication, commerce, and transportation. This planet also rules all moving parts in machines and electronics. When any planet retrogrades, it means that planet is at rest and does not emit the strong vibrations it does when it is awake and alive. Mercury appears to go backward because of its relationship to the movement of the earth, so the retrograde is apparent, not actual. During these phases, it is never wise to sign contracts or to launch new ventures. Conditions are in flux, and the new situation that will replace the old one has not yet been manifested. As a result, if you make decisions while Mercury is retrograde, you will be using old, outdated information that will not be pertinent to the new situation. Mercury retrograde is a good time to review work already done and to bring it to a new level of excellence. It is natural not to want to hear that we need to continue to work on a former project that we thought was finished. We all want to hear that it is time to forge ahead on new ventures. However, by going back we see flaws in our assumptions and see other elements of the project that need improving. All endeavors, creative and otherwise, require a certain amount of time to go back, reflect, and correct. Mercury retrograde helps us tie up loose ends and find new ways to work with old friends or customers. For a salesman, Mercury retrograde periods are wonderful times to go to former or present clients to develop business rather than to venture forth in an attempt to develop new clients. Detectives find clues to old, cold cases during these phases. Information about deeply hidden scandals also sometimes comes out during Mercury retrograde periods. Sometimes, it is even possible to find long lost items that were thought to be lost forever. In short, any word that has the prefix "re" applies to this period: re-address, redesign, rediscover, rethink, repair, revisit, and re-evaluate all apply. LTK: People increasingly comment on what strange times we are living in. Do you have any thoughts, from an astrological point of view, on why things seem to be more harried or crisis-oriented that usual? SM: I'm sure the Pilgrims who settled America, or those who fought during the Civil War, didn't find the times they lived in easy, nor did those who suffered through the Great Depression, either. I think it's natural for things to be in flux. Our times are not any different than they were for our ancestors; there is always a source of peril or fear, but also sources of hope and inspiration. The planets systematically reward and challenge us, and that is how we build our character. If times were always easy, we would never get to flex our moral muscles, and we wouldn't be able to learn about ourselves and what is truly important to us. I don't think things are irrational now at all. Actually, I think the times we live in are quite logical. We are all taught in physics that for every action there is an equal and opposite reaction, and that applies here. The world we have today is the result of decisions and actions of previous generations working as best they could within previous astrological cycles. Our challenge is to make the world we want it to be for our children. We do this with all the available information we have and as we go along, we become increasingly enlightened. Western man hopes to find all answers to the mysteries in the universe in his lifetime, but as the Dalai Lama says, we cannot hope for that, for that's not how things are. Information and enlightenment come gradually, and they are revealed while we are ready to receive it. We do the best we can with what we know. Our lives and the times we live in are truly a work in progress. LTK: Are there any emerging themes that you see in the coming years? 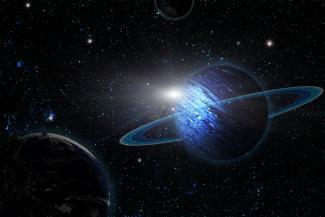 For example, this Saturn-Uranus showdown; what do you think it will produce? SM: Every once in a while, society goes through a period of birth pangs that leads to a new social order. The outer planets will be clashing quite a bit between now and 2012, and in that time will reveal to us corrections we need to make so that society can become more whole. It's remarkable how similar the current planetary actions are to the period 1965-1968. Those were difficult years, when society saw a lot of unrest. Both African-Americans and women in general were marching for equal rights back then, and at the same time the very unpopular Vietnam war was going on which brought about massive demonstrations. I am sure at the time nobody knew where all the protests were going to lead, but they did lead to good. Sometimes the only way for society to advance is through these clashes of forces. It sets up a public forum and something is done to correct imbalances. SM: You mentioned Saturn opposition Uranus, an aspect that will occur five times between November 4, 2009 and July 26, 2010. Ironically, the very first contact of this aspect took place on Election Day, and the USA elected its first black president, Barack Obama. Saturn rules the establishment, and Uranus rules all that is innovative and new. Saturn encourages caution, while Uranus encourages rebellion and independence. When two planets oppose one another, usually the slower moving planet of the two "wins" dominance over the other. In this case Uranus, which takes 84 years to go around the Sun, did win over Saturn, which rules the establishment and takes a shorter 29 years to orbit the Sun. The established party was swept out, and a new one was installed very quickly on Election Day. Saturn opposition Uranus presents us with four more milestone moments in the next one and one-half years to decide as a society and in our personal lives between two very different paths. This type of planetary clash is very productive because it doesn't allow for any hesitation or delay. We are all called on to make a decision and state it clearly. Keep in mind that during all oppositions, there is an opportunity for completion, in the way two halves of an apple form one. Saturn will temper Uranus from being too impulsive, and Uranus will poke at Saturn and not allow it to be overly conservative and cautious. The right mix often arises. In our government, I feel the two parties will work together under this trend to find the right solutions to the big problems we currently face. Sometimes during times like these, it is better to make any decision than no decision. Later, we can learn from it and tweak it as we go. If we make no decision, it will be made for us by the circumstances- never an ideal scenario. We must be more willing to experiment and to continue public debate and less quick to judge when we make a misstep. The path ahead will be new, and there will be no old signposts to use as a guide. Susan Miller's Astrology Zone has served readers since 1995, here Susan offers Daily and Monthly horoscopes, Life and Love articles, and a compatibility guide, as well as a section devoted to learning astrology. Susan's app, Susan Miller's Astrologyzone Daily Horoscope, is available at the Apple App Store or from Google Play (search Susan Miller). She also offers Astrology Zone Premier™, which she calls a sophisticated yet easy to use, robust application that was designed by the engineers at Hands-On Mobile for all current cell phones. You can also follow Susan on Facebook or Twitter.